March may be coming to an end, but we are surely not ready to finish celebrating Women’s History Month just yet. Women artists have helped to propel contemporary art into the rich field it is today, so I thought it only right to dedicate this post to one of the female artists I find most fascinating from the Phillips’s permanent collection—Joan Mitchell (1925-1992). Joan Mitchell, born in Chicago, was an essential member of the American Abstract Expressionist movement and an all around fierce character. Sitting pretty in the galleries is Joan Mitchell’s August, Rue Daguerre (1957), an energetic oil on canvas painting, which was inspired by a bustling Paris street. This work, with its rather violent brush strokes and rich colors, is representative of Joan’s work as she was inspired by lively friends (fellow artists de Kooning and Kline) and the cities she traveled between most, New York City and Paris. Having lived in a number of locations, Joan’s abstract paintings expressed her environment and her reaction to them. I adore how in looking at this painting, one can begin to visualize what Joan was seeing both in her surroundings and how they affected her own psyche. The various shades of brown and black on the canvas could be illustrative of the statuesque Parisian architecture, but also might signify how Joan feels content and rooted in Paris. Perhaps the interspersed strokes of bright, yet subdued reds and blues express the unpredictable French citizens Joan passes daily along the winding streets. I think the magic of this emotive work and of abstract art as a whole is that it’s always up for interpretation. August, Rue Daguerre (1957) is certainly one of my favorite paintings in the Phillips’s collection. I appreciate how Joan Mitchell was brave enough to express herself through abstract art, knowing critics and the public may never fully understand her vision… and personally, I think being brave is what being a woman is all about. 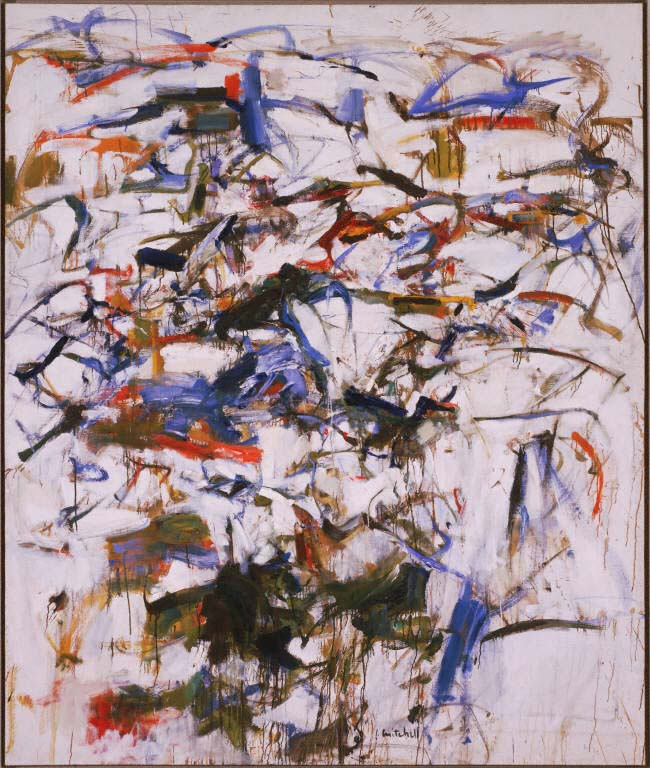 This entry was posted in Experiment Station and tagged Abstract Expressionism, female artists, Joan Mitchell, Paris, woman artists, women artists, women's History Month. Bookmark the permalink. I’m Amy Wike, Marketing Manager at the Phillips and blog manager. We do use WYSIWYG editors, but I’m not sure how much help I can be in terms of set up because I was not part of the initial creation of the Phillips’s blog. If you have further questions, email me at awike@phillipscollection.org. I’ll answer to the best of my ability, and might be able to connect you with other folks as appropriate.